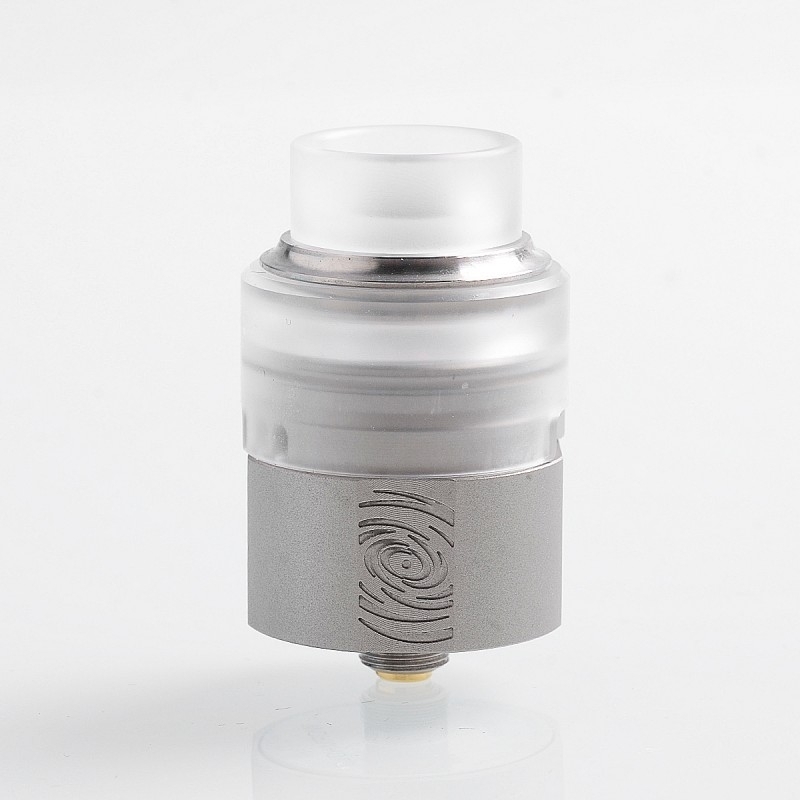 Vapefly Wormhole RDA. 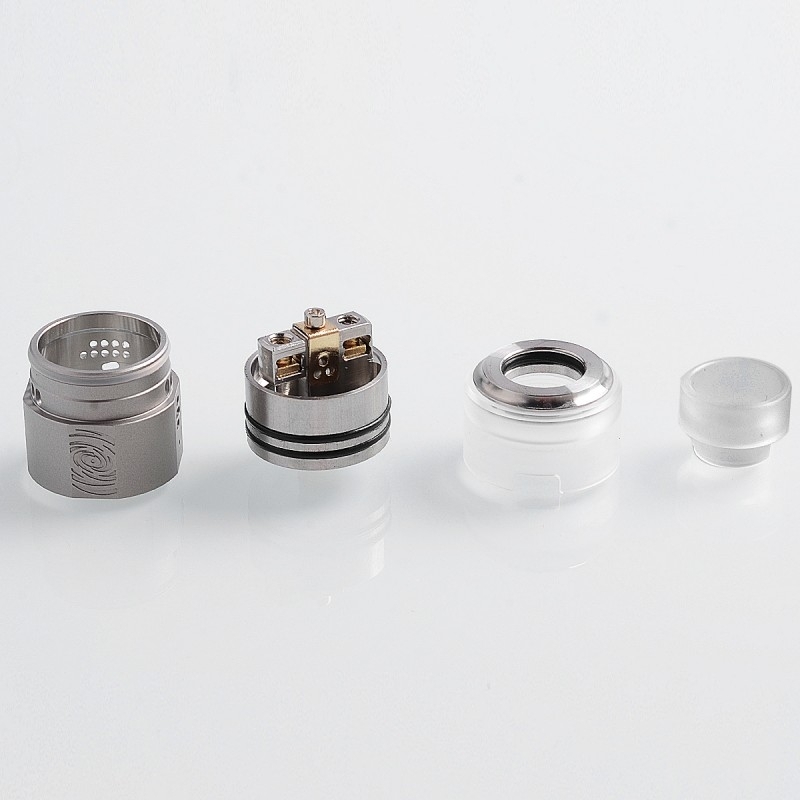 It is 24mm in diameter with side and bottom airflow channel. 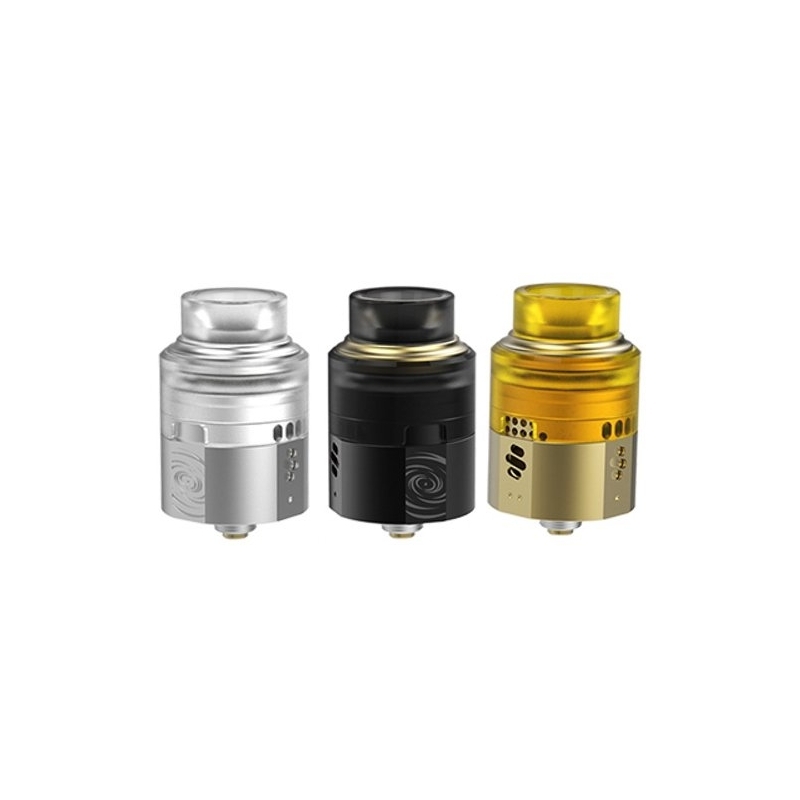 You are capable of adjusting the air inlet with multiple holes on the top cap. 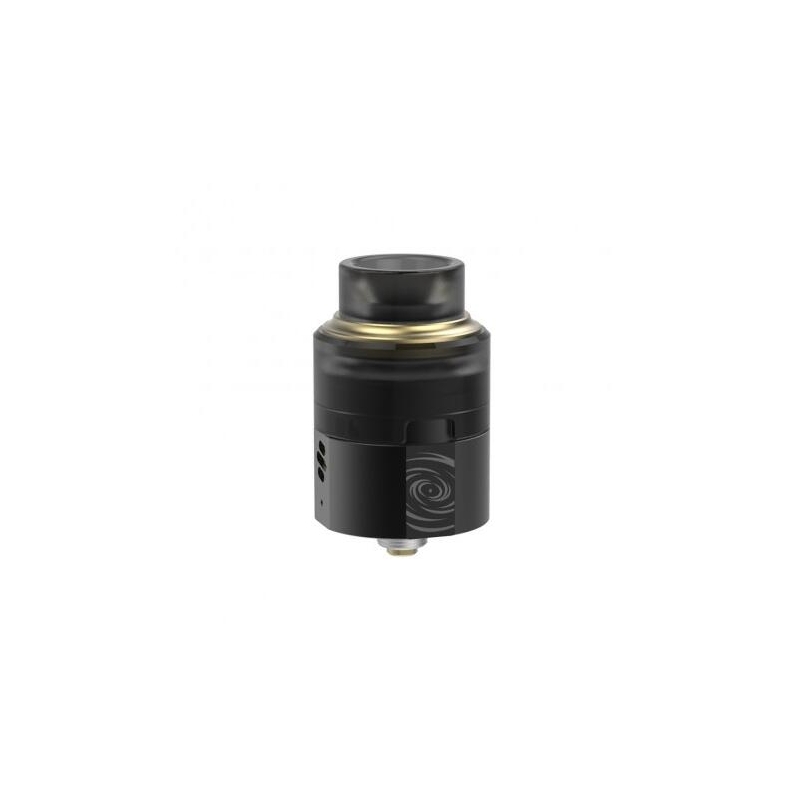 The Wormhole RDA supports single coil and dual coil building too. 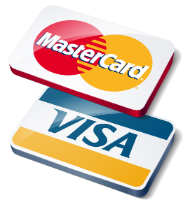 The pack also comes with two clamps for further airflow adjustment. 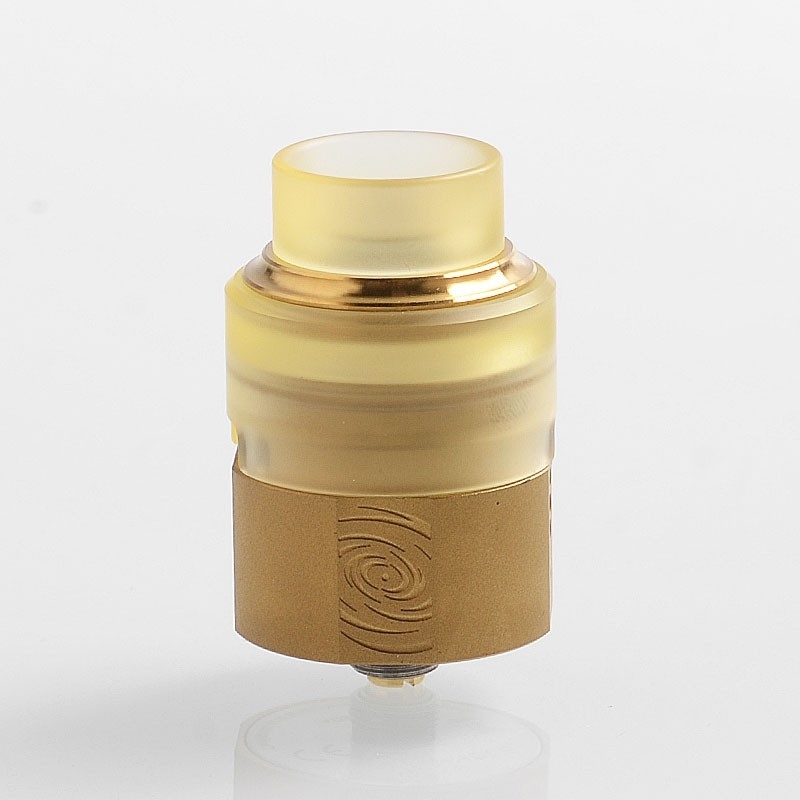 The Wormhole RDA has a BF pin, so it is compatible with most squonker MODs. 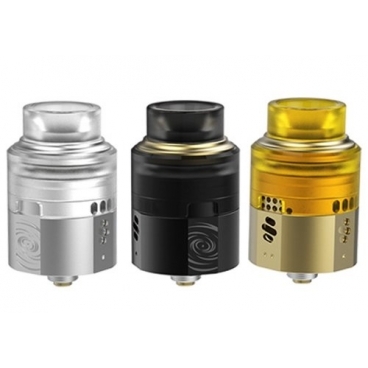 Just get this delicate device for optimal flavor and massive clouds!